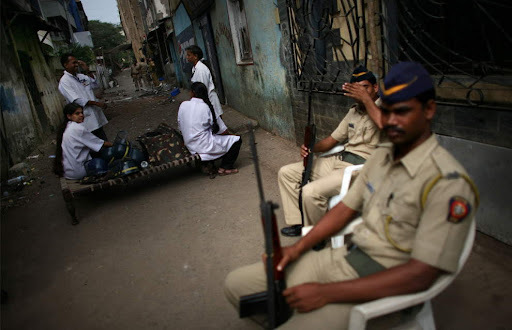 On Monday most of Mumbai, India attempted a return to normal activity, in the wake of the 60-hour-long siege last week. 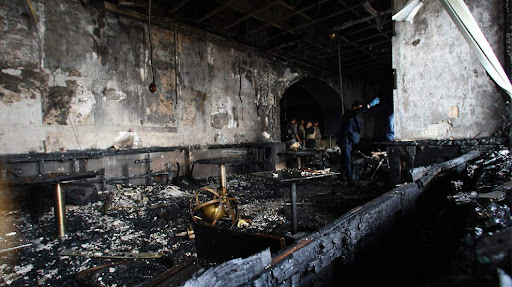 Some facts about the attacks are a bit clearer now, others still hazy. 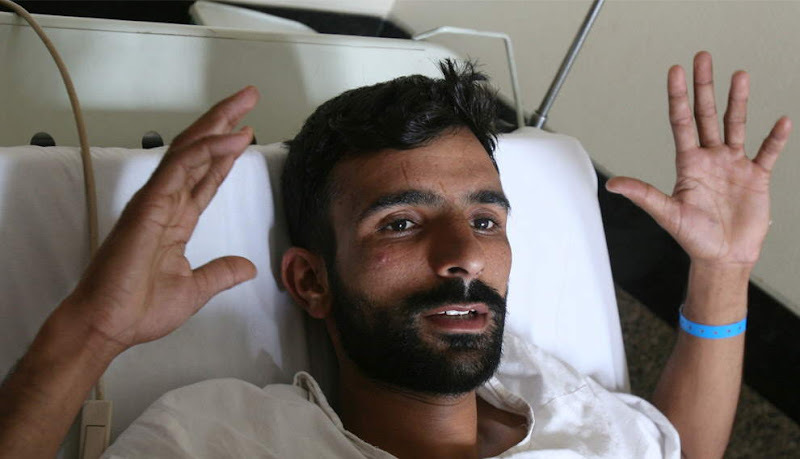 Based in part on the confessions of the only terrorist captured alive - Azam Amir Kasav (also identified elsewhere as 'Ajmal Qasab'), Indian officials now say that there were only 10 gunmen involved, all members of Lashkar-e-Taiba, a Pakistani militant group with links to the disputed Himalayan region of Kashmir - though Pakistan officially denies any involvement. According to recent reports, the ten attackers were responsible for the deaths of 172 people, including 19 foreigners, and 239 wounded. While mourners of the victims attended to their loved ones, and people all over the world held vigils, a Muslim graveyard in Mumbai refused to bury the nine dead gunmen - an official saying that they were not true followers of the Islamic faith. 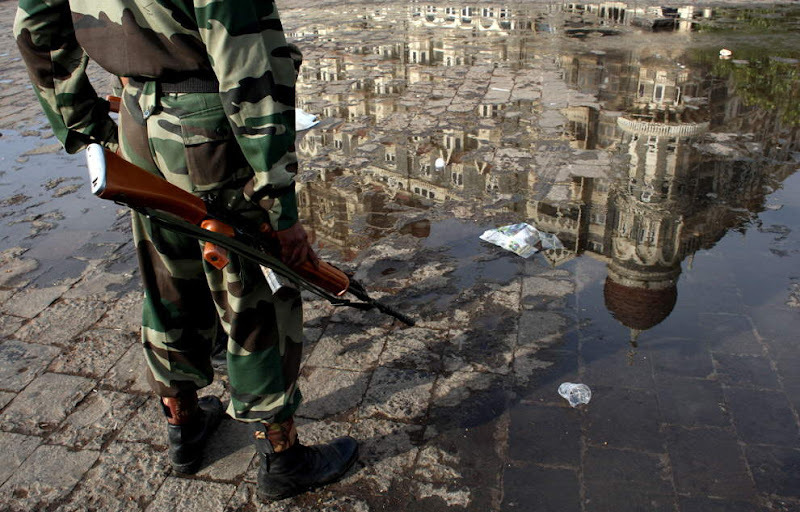 An Indian soldier stands guard outside the Taj Mahal Palace & Tower Hotel following an armed siege on November 29, 2008 in Mumbai, India. 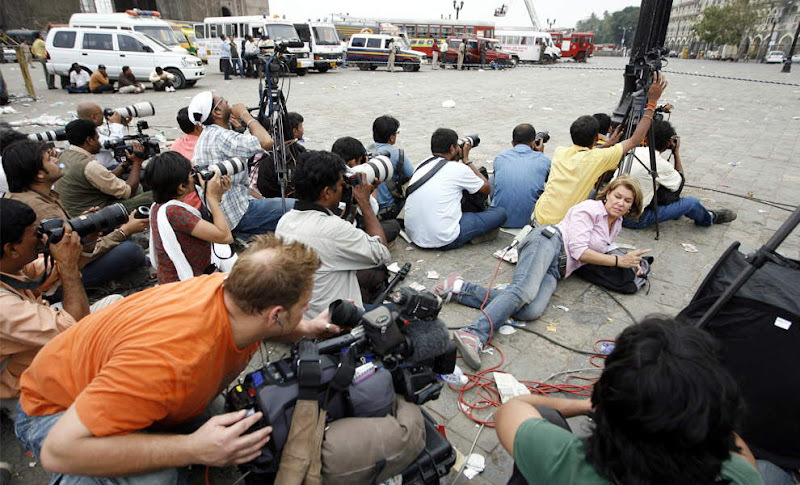 Photographers and members of the media cover a gunfire at the Taj Hotel in Mumbai November 28, 2008. 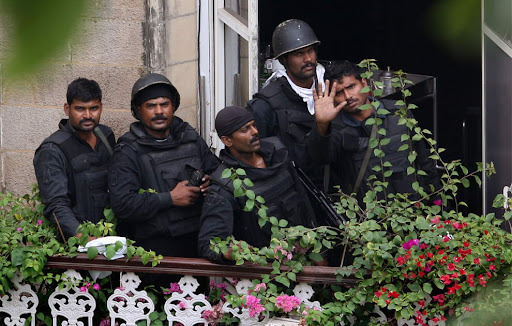 At the front of the Taj, bleary-eyed journalists who had earlier mobbed National Security Guards chief J.K. Dutt when he announced the end of the siege were pushed back roughly behind a rope that had marked an unofficial boundary for them. Hundreds of media workers dived for cover as stray bullets whistled above them during the final stages of a firefight. Indian commandos stand on a balcony of the Taj Mahal Palace & Tower Hotel after they gained control of it, on November 29, 2008 in Mumbai, India. 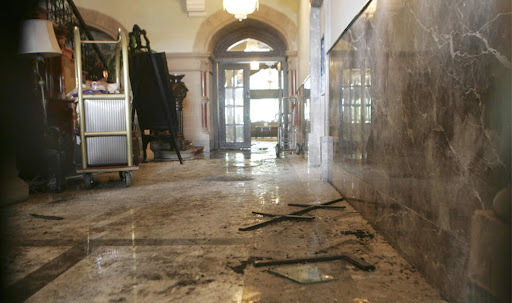 The lobby area of the Taj Mahal Hotel is seen in Mumbai, India, Saturday, Nov. 29, 2008, shortly after Indian commandos killed the last remaining gunmen holed up at the luxury Mumbai hotel Saturday. 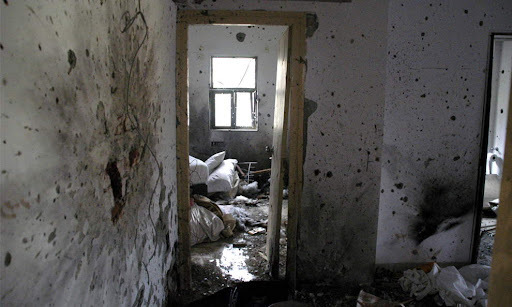 MSecurity officials survey a destroyed room inside the Taj Mahal Palace & Tower Hotel after the armed siege on November 29, 2008 in Mumbai, India. 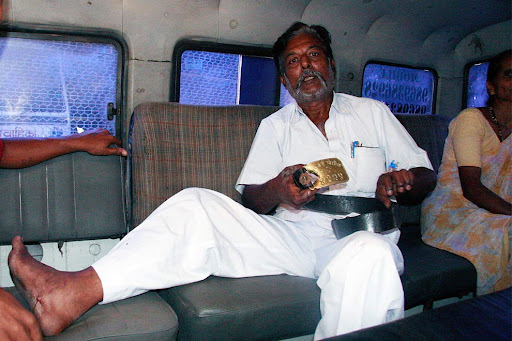 A policeman, shot at five times, holds up his metal belt buckle which saved his life on November 29, 2008 in Mumbai, India. 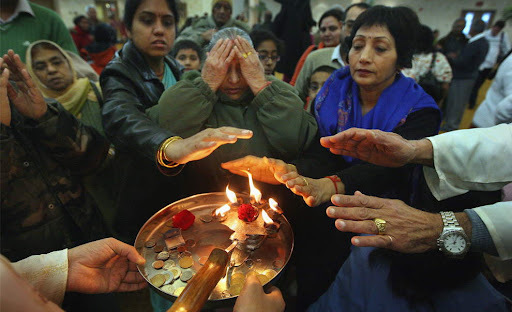 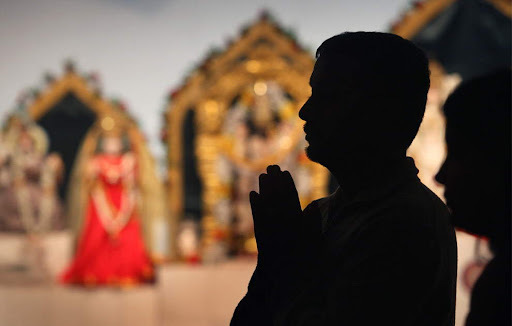 A member of a Hindu congregation holds his hands in prayer to mourn those killed in the Mumbai, India terrorist attacks, while at the Hindu Temple and Cultural Center of the Rockies November 29, 2008 in Littleton, Colorado. 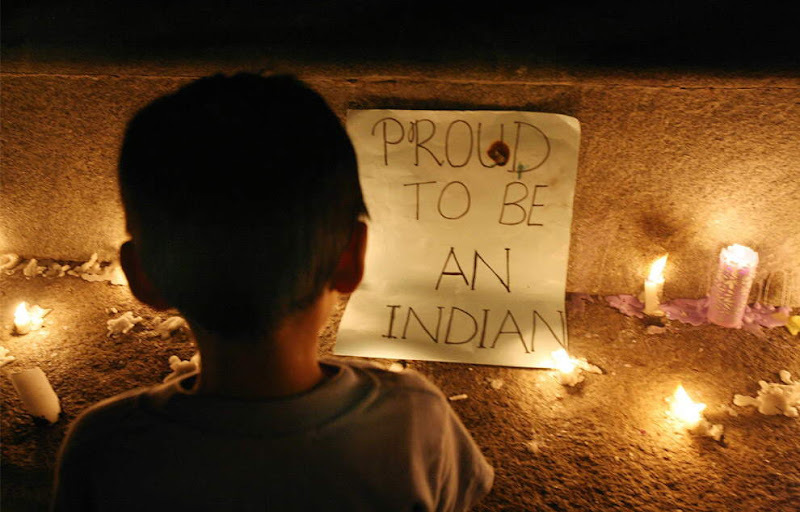 The congregation listened to a prayer and then paused for two minutes of silence in solidarity with those killed in the attacks. 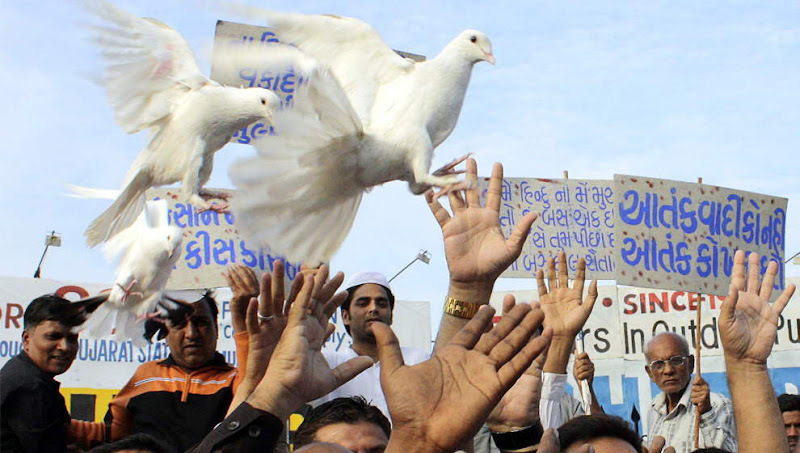 Muslims release pigeons symbolising peace during a rally in the western Indian city of Ahmedabad against the Mumbai attacks November 29, 2008. 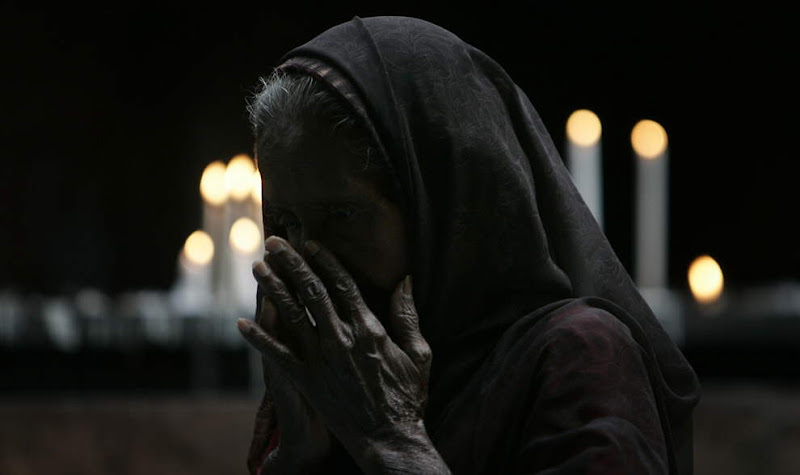 An Indian Catholic woman prays following a Sunday Mass, at the Cathedral of the Holy Name, in Mumbai, India, Sunday Nov. 30, 2008. 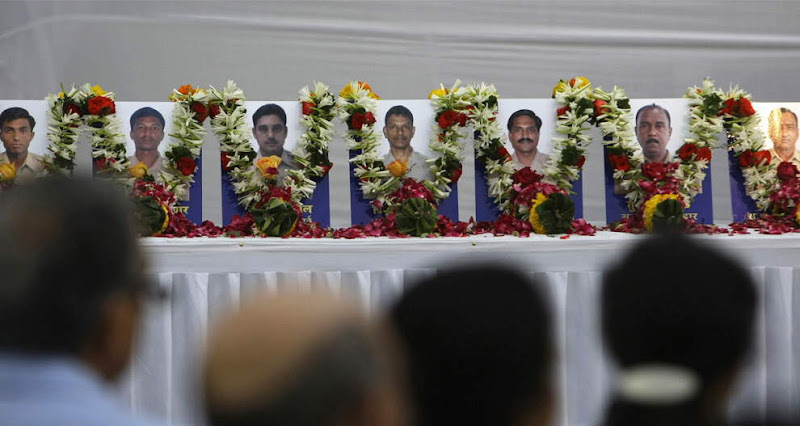 Policemen and their families attend a meeting to pay tributes to Mumbai's policemen, in photographs in background, who lost their lives in terrorist attacks in Mumbai, India, Sunday, Nov. 30, 2008. 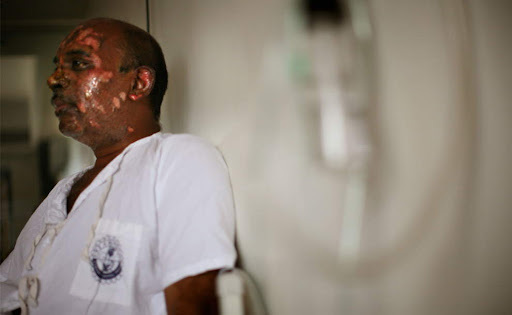 Dhole Deepk, a policeman who was wounded at the Taj Mahal Palace & Tower Hotel during the armed siege with militants that ended yesterday, is seen at the Mumbai hospital, on November 30, 2008. 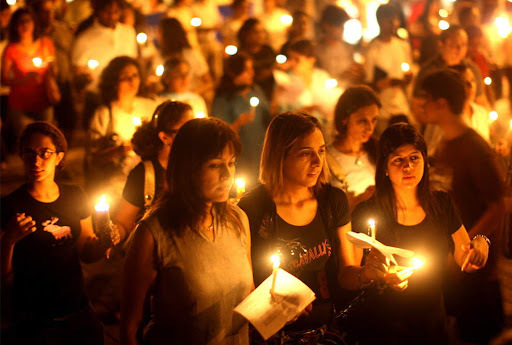 Mumbai Residents walk with candles in the street near The Oberoi Hotel during a demonstration against the recent terror attacks in the city on November 30, 2008 in Mumbai, India. 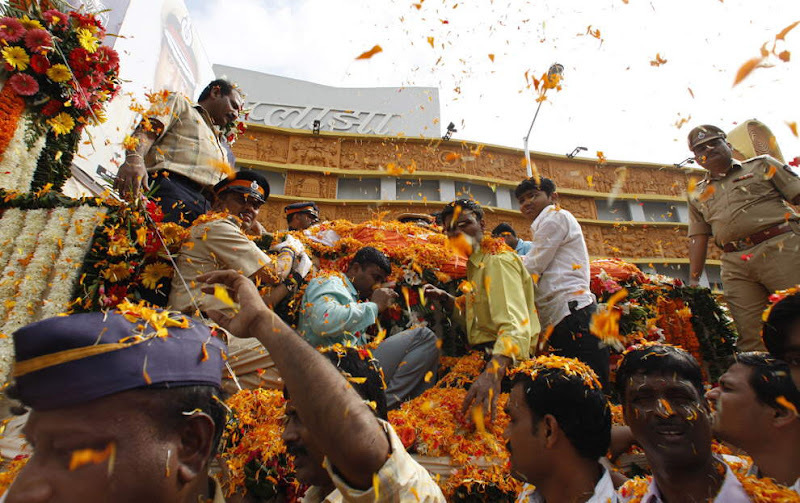 People standing on the roadside shower flower petals as the body of Hemant Karkare, the chief of Mumbai's Anti-Terrorist Squad is taken for cremation in Mumbai, India, Saturday, Nov. 29, 2008. Sunil Yadav, A National Security Guard (NSG) commando who was injured during an operation in the Taj Mahal hotel, shares his experience with media in a hospital in Mumbai November 30, 2008. People make offerings and take the aura from the light of the Artee, at the end of an inter-faith service at the Hindu Sabha Temple in support of Mumbai attack victims, in Brampton, Canada. 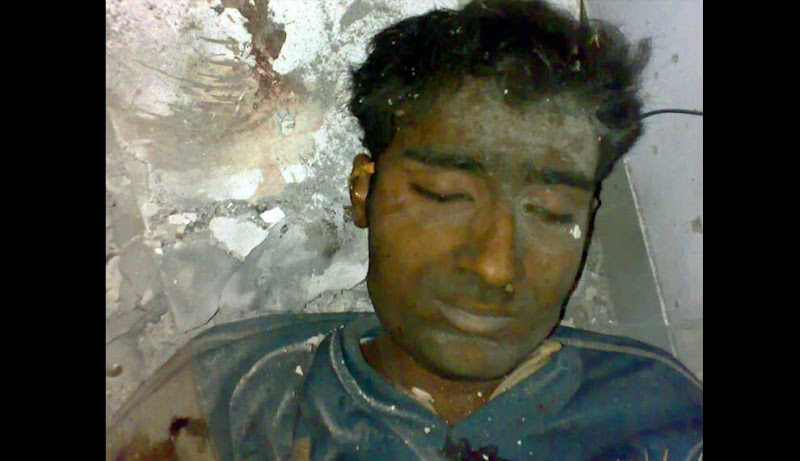 on Sunday Nov. 30, 2008. Forensic experts sit outside the Nariman House Jewish centre, which is guarded by police, at Colaba Market on November 30, 2008 in Mumbai, India. The body of a suspected terrorist lies in the wreckage inside the Nariman House building in Mumbai November 28, 2008. 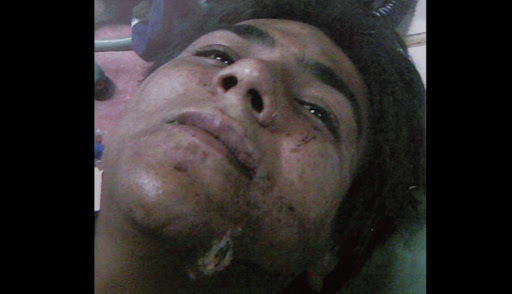 This is an undated image released by Mumbai State police department on Monday Dec. 1, 2008, of Azam Amir Kasav who the police said was the sole terrorist captured alive in the recent attacks in Mumbai. 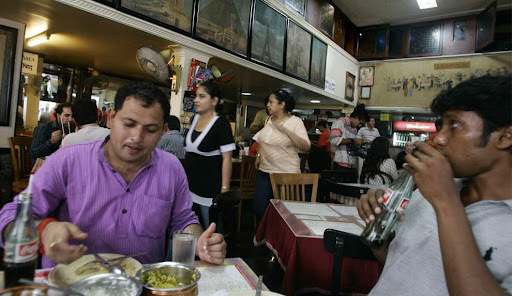 Kasav is purported to be the same terrorist photographed in the act here. Waiters organize for reopening the site of the first target of terrorist attacks this week, the Leopold Cafe on November 30, 2008 in Mumbai, India. 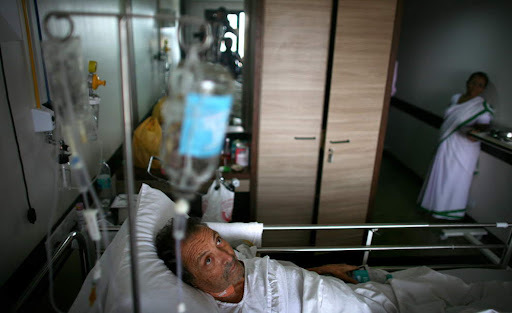 Raflles Eeaus Codes, a tourist from Spain who was wounded at the Taj Mahal Palace & Tower Hotel, lays in a bed at the Mumbai hospital on November 30, 2008 in Mumbai, India. 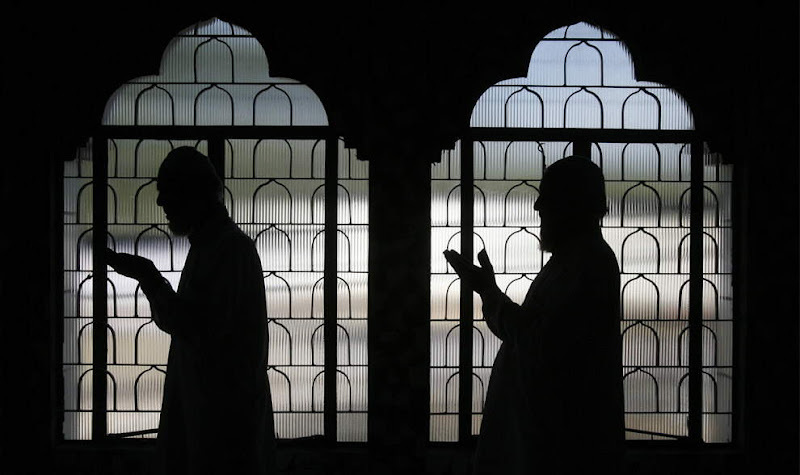 Muslims pay homage to the victims of the Mumbai attacks during a special prayer meeting at a mosque in the northeastern Indian city of Siliguri November 29, 2008. A boy attends a candle lighting ceremony in Mumbai, India on Sunday, Nov. 30, 2008. 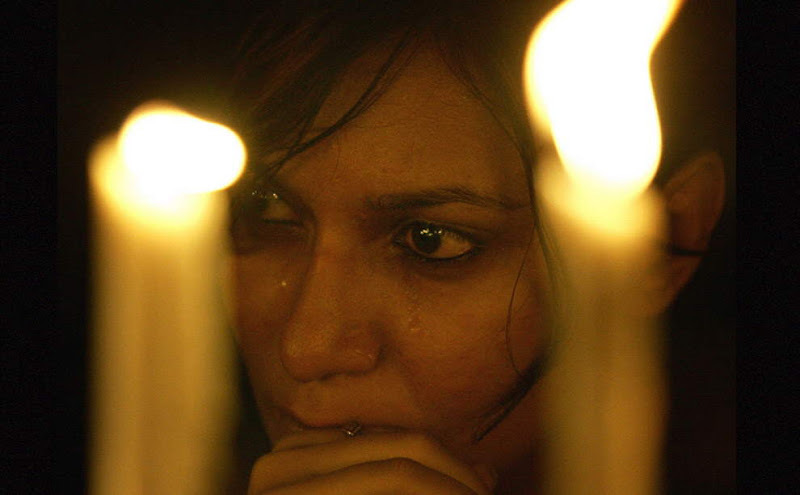 Relatives and neighbors mourn as they attend the funeral of Haresh Gohil, 25, who was killed by gunmen near Chabad-Lubavitch center,also known as Nariman House in Mumbai, India, Saturday, Nov. 29, 2008. 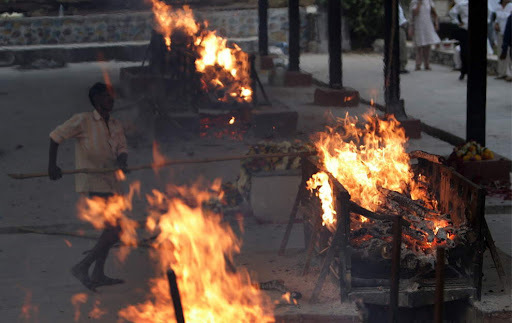 Several burning funeral pyres of victims who died in the attacks in Mumbai, India, Saturday, Nov. 29, 2008. 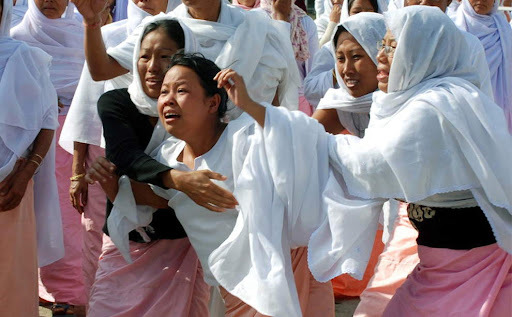 Family members of Maibam Bimolchandra Singh react as his body is brought to his hometown Imphal November 29, 2008. 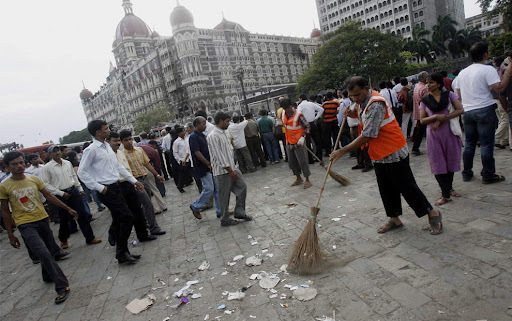 Singh, an employee in the Trident-Oberoi hotel in Mumbai, died in the Mumbai attacks. An Indian commando signs autographs for a crowd of grateful people in Mumbai November 29, 2008. 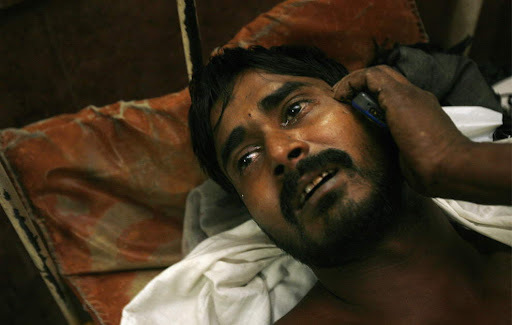 Manoj Kanojia, 27, cries as he speaks to his mother on the phone at a hospital in Mumbai, India, Saturday, Nov. 29, 2008. Manoj suffered two bullet wounds in Wednesday's shooting at the Chhatrapati Shivaji Train Station in Mumbai. 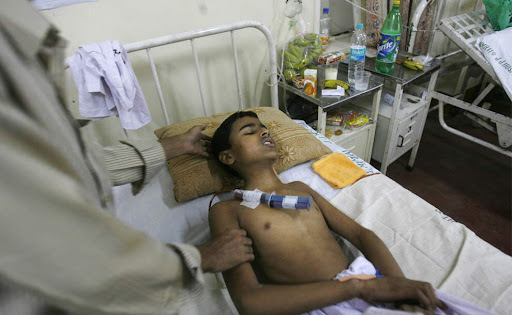 Afroz Abbas, age 10, winces as he is helped to lie down on his bed at a hospital in Mumbai, India, Saturday, Nov. 29, 2008. Afroz was injured in the back and said he lost his parents and three other relatives in Wednesday's shooting at the Chhatrapati Shivaji Train Station in Mumbai. Workers sweep the ground in front of the Taj hotel in Mumbai November 29, 2008. 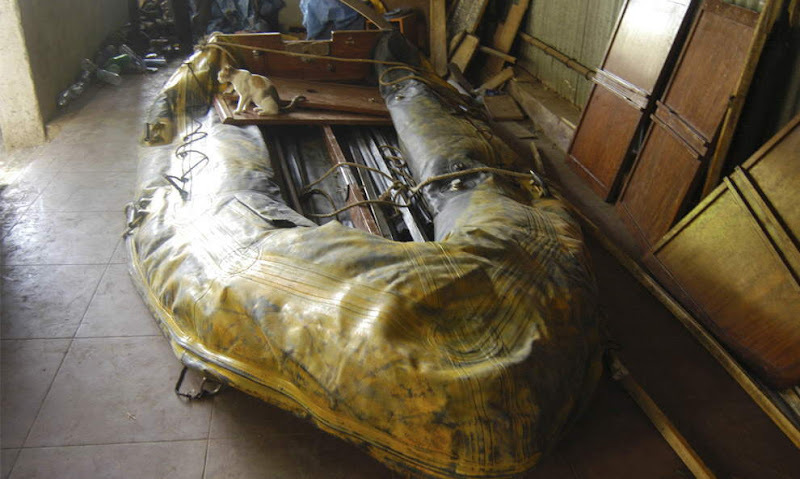 A rubber dinghy lies in a police station in Mumbai, India, Thursday, Nov. 27, 2008. Indian security officers believe the gunmen who went on a terror rampage in Mumbai may have reached the city using a black and yellow rubber dinghy found near the site of the attacks. 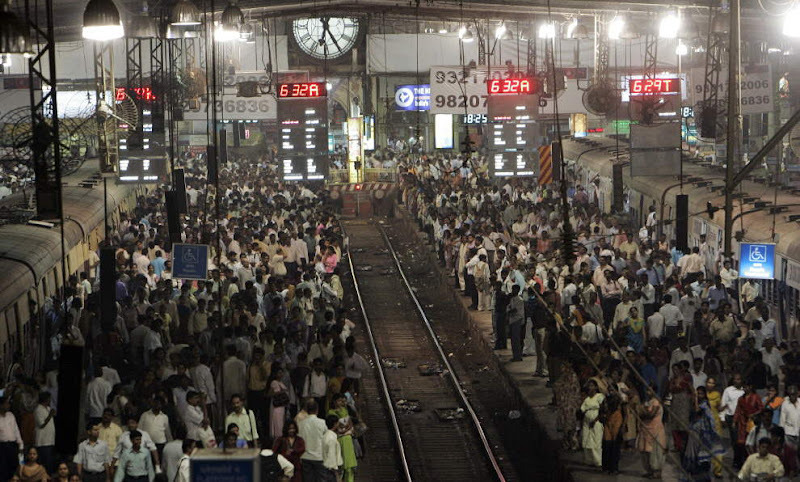 People wait on the platforms of the landmark Chhatrapati Shivaji Terminus train station, one of the several places where the attackers shot at people, in Mumbai, India, Monday Dec. 1, 2008. 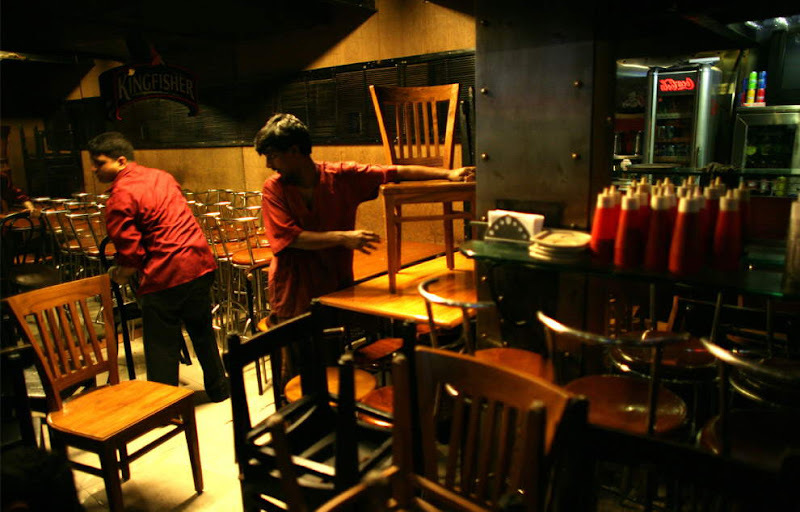 Mumbai returned to normal Monday to some degree, with many shopkeepers opening their doors for the first time since the attacks began. 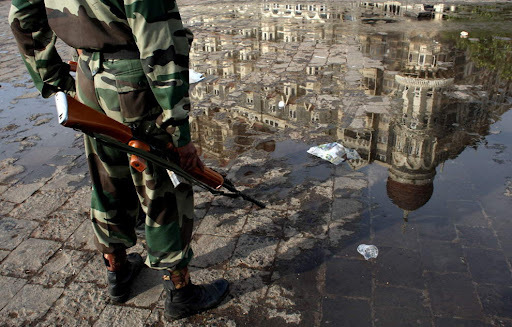 As authorities finished removing bodies Monday from the bullet and grenade-scarred Taj Mahal hotel, a Muslim graveyard refused to bury the nine gunmen who terrorized this city over three days last week, leaving at least 172 people dead and wreaking havoc at some of its most famous landmarks. People eat at Cafe Leopold, one of the several places where terrorists shot at people, after it reopened in Mumbai, India, Monday, Dec. 1, 2008. A woman cries, during a candlelight march for the victims of the Mumbai terrorist attack in which more than 195 people were killed, in Mumbai, India, Saturday, Nov. 29, 2008.